The dream of a designated scenic byway for the Bayfield Peninsula is now a reality. 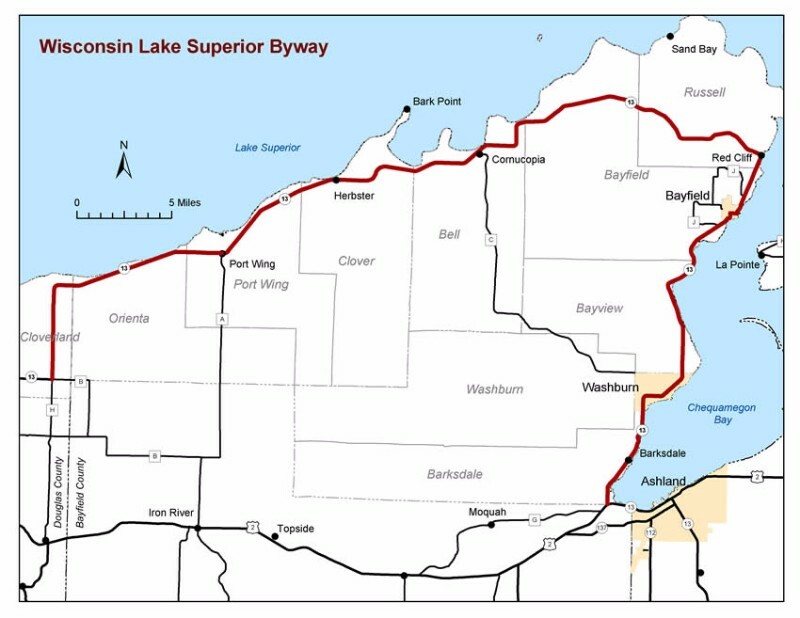 The Wisconsin Lake Superior Byway received its official State of Wisconsin confirmation in fall of 2012. 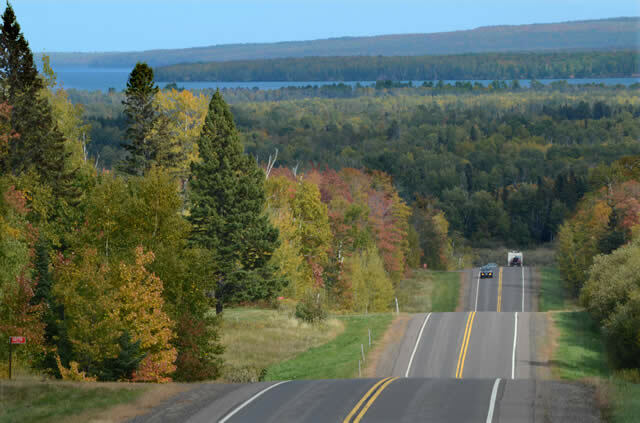 The beauty of the byway is experienced through the stories and scenery that embrace the majesty of Lake Superior. One billion years in the making, it is the largest freshwater lake in the world by surface area, and the third largest by volume. Sandstone cliffs along the byway showcase millions of years of wave action on this largest of the Great Lakes. National, state, county and local concentrations of natural resources areas are unsurpassed. The byway is home to the Apostle Islands National Lakeshore and Gaylord Nelson Wilderness Area, Frog Bay Tribal National Park in Red Cliff, Chequamegon-Nicolet National Forest, Whittlesey Creek National Wildlife Refuge, State Natural Areas at Bark Bay Slough, Lost Creek Bog, Port Wing Boreal Forest, and Houghton Falls, and the Wisconsin DNR Voight Fish Hatchery on Pike’s Creek. Trails along the byway include hiking, mountain biking, beach, a Wisconsin Maritime trail, cross-country skiing and snow shoeing, ATV and snowmobile. The byway is truly a four-season destination. Numerous sites along the byway are listed on the National Register of Historic Places in America, including seven shipwrecks. Local museums and historical societies serve as stewards to the natural, cultural and architectural history that is a permanent part of the ebb and flow of life along the byway. Visit the Bayfield Maritime Museum, the Bayfield Heritage Museum, the Washburn Cultural Center and Washburn Historical Museum, the Cornucopia Green Shed Museum and the Port Wing Area Museum. Becoming a scenic byway is not an easy process. The highway has to be part of the state highway system (a numbered state or federal highway other than an interstate) at least 30 miles long, offer travelers outstanding scenic views or historic resources combined with recreational and/or cultural attributes, and be initiated/supported by local groups and governments. Twelve local governments and the Red Cliff Band of Lake Superior Chippewa cooperated to make the byway a reality. Visit the byway’s website at www.lakesuperiorbyway.org for much more information and links to all of the sites mentioned here. There’s also a printable brochure/map available on the website that can be used for a self-guided tour of the byway.